Do you have a vehicle with a diesel engine? Diesel-powered engines are known as the toughest around. But just because they’re tough doesn’t mean you can give them just any type of engine oil. Finding the best diesel engine oil can be confusing, but we’re here to help. What is Diesel Engine Oil? What are the Benefits of a Diesel Engine? What are the Types of Diesel Engine Oil? This full synthetic heavy-duty oil features improved fuel economy and deposit control while also helping to protect against engine wear. A popular choice for use in both boiling hot and frigid cold climates. 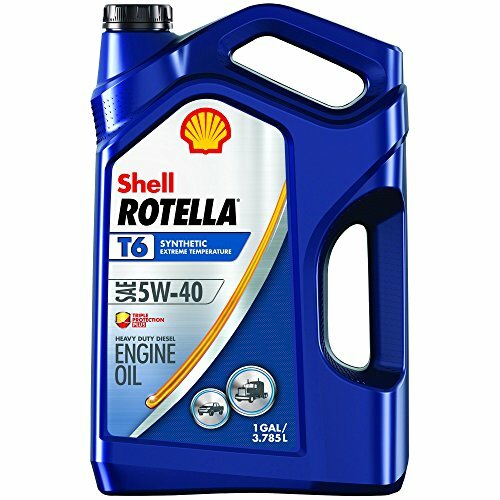 Shell Rotella’s T6 is one of their best-selling diesel oils and it’s easy to see why. Regular use improves fuel economy up to 1.5% with no noticeable power loss. Plus, multi-functional dispersant additives help protect the engine from soot, dirt and other contaminants. If you’re previously used API CJ-4 engine oils, you’ll be surprised how this new generation has significantly improved the protective capabilities. Regular use helps guard your engine against wear and related damage. Low-ash formulation helps control exhaust levels and maintain emission compliance. If you’re looking for an engine oil to help ensure your vehicle passes an upcoming emissions test, this is a good choice. Hot and cold weather can’t outmuscle this oil. The Premium Blue Extreme provides a safe, fast start in practically any type of weather conditions due to its uniquely formulated synthetic base. Also protects against engine deposits. Formulated for use with all types of modern diesel engines including Exhaust Gas Recirculation and Diesel Particulate Filter control systems. 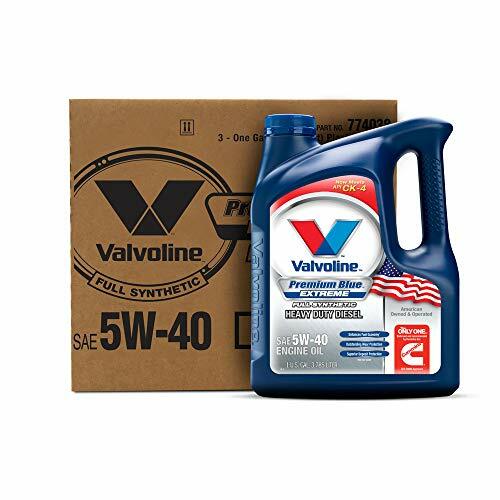 Plus, the Valvoline name means you have access to helpful and knowledgeable customer service. Simply call 1-800-TEAM-VAL for quick answers to any questions about the oil or diesel engines in general. A synthetic oil which helps keeps engines clean and prevents damage from extreme temps. Meets performance requirements for Cummins, Caterpillar, Ford, Mack and many others. Manufacturer not as well-known as others. Stored in a literal barrel, this synthetic oil provides anti-oxidation characterization, temperature protection and helps prevent wear. Safe for just about any diesel engine, this oil meets or exceeds warranty requirement for all major diesel engine specifications including Mack EO-O Premium Plus and API CJ-4/SN. Versatility is a key feature of this oil, and it’s useful for anyone with multiple vehicle types. Can be used without issue in diesel trucks, farm tractors, passenger cars, off-highway diesel equipment and more. 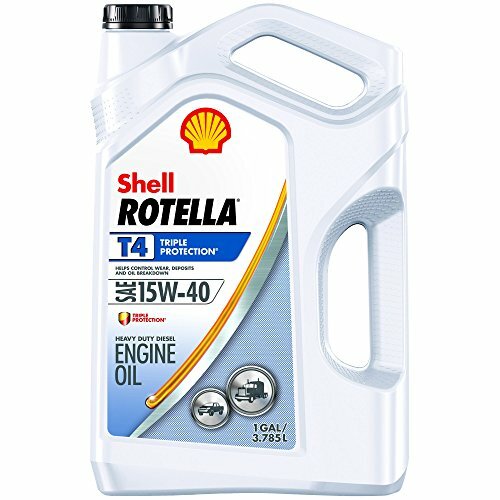 Formerly known as Rotella T Triple Protection, this is touted by Shell as their most technically advanced diesel engine oil ever made. Advanced additives protect diesel engines of practically any condition or age. This classic triple-protection formula is actually better than ever with improved oil aeration and protection against viscosity loss. Protect engines from severe conditions and heavy use. Although specifically formulated for modern diesel engines, it’s also a great choice for older diesel engines including collector’s cars. Meets all standards for major diesel engine manufacturers including Caterpillar, Cummings, Deutz, Volvo and more. Built-in friction modifiers make this a great oil for staying stable in extremely high temperatures. Also specially formulated for diesel turbochargers, able to effectively double their lifespan. Adding power and protection, this full synthetic oil includes friction modifiers such as CRP Organic Metallic Moly plating technology. Reduces wear and oxidation while also allowing for optimum performance at high temperatures. A good choice for heavy load-bearing vehicles as well as vehicles which frequently operate in dry, hot areas. Ash control systems and dispersal systems protect turbochargers from deposits and build-up. 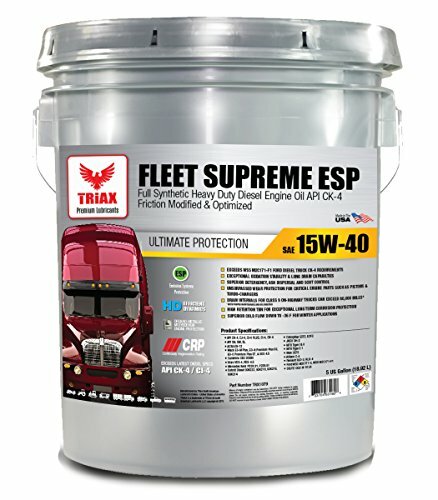 Regular use of this oil also eliminates the need to clean Diesel Particulate Filters. While the manufacturer claims drain intervals between 25,000 and 80,000, you’ll probably want to change your oil sooner than that. 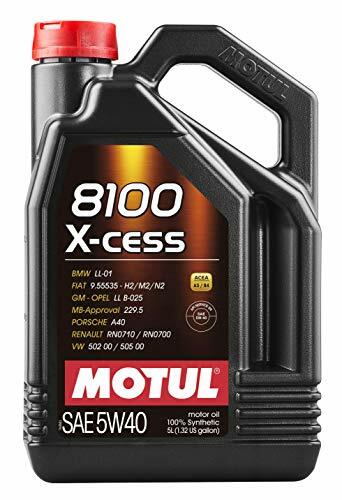 A great choice for new, more powerful diesel engines, this synthetic oil from Motul operates in a wide range of temperatures and conditions. Ideal for modern diesel vehicles. This fully synthetic oil is designed for new cars, especially any vehicles with high-displacement, turbo Diesel and gasoline direct injection engines. Recommended for OPEL 2.0 and 2.2 DTI engines. With a rating of SAE 5W-40, the oil has a VI rating of five in cold temperatures with a rating for 40 during normal operating conditions. Plus, low volatility means this oil actually decreases oil consumption. This brand actually works hard to keep you from buying more. Internal combustion engines can be divided into two types: gasoline engines and diesel engines. Both convert the chemical energy found in fuel into mechanical energy. This mechanical energy moves pistons, turns crankshafts and eventually powers your car or truck. All internal combustion engines use a series of small explosions to create mechanical energy. But the difference between the two is how those explosions are created. With a gasoline engine, fuel mixes with air and ignited by the spark plugs. With a diesel engine, the air is compressed, which heats it up, and then fuel is injected, which is then ignited. Here’s where it gets a little confusing. Sometimes diesel fuel – the substance from the pumping station which fills up your fuel gauge – is also called “diesel oil.” The engine oil for your diesel vehicle is found on store shelves or online. The fuel for your diesel engine is found down at your local gas station. You’ll often find diesel engines in larger, more powerful vehicles – including many types of commercial vehicles such as farm equipment, transport trucks and more. Gas mileage is usually between 25% and 30% better for diesel than conventional engines. Diesel engines require no ignition tune-ups (because they have no spark plus). The base oils make up the largest part of the oil. When you think of the look, texture and feel of oil, you’re picturing base oils. They provide lubrication while also absorbing heat. This is made from crude oil drawn from the ground. Although petroleum is refined, certain components like nickel and vanadium can’t be removed completely. Because the molecules in petroleum vary in weight, engine performance can be affected. Petroleum oils are often also called traditional or conventional oils. These base oils are laboratory engineered and contain no crude oil. They also contain no contaminants. In fact, every single molecule in synthetic base oils has a purpose. This is a blend of both synthetic and petroleum oils. Generally, synthetic motor oils don’t offer a ton of benefits. They’re slightly cheaper than synthetic oils, but don’t perform nearly as well. Basically, they have all the drawbacks of convention oils with none of the benefits of synthetic oils. As the name implies, these are various chemicals added to the oil. They provide a variety of benefits for the engine such as wear protection, corrosion protection, improved viscosity, acid neutralization and more. Additive chemicals include zinc, boron and phosphorus. Creating an effective blend of additives is no easy task. Manufacturers are constantly trying to perfect better and better formulas by creating new blends of additives. 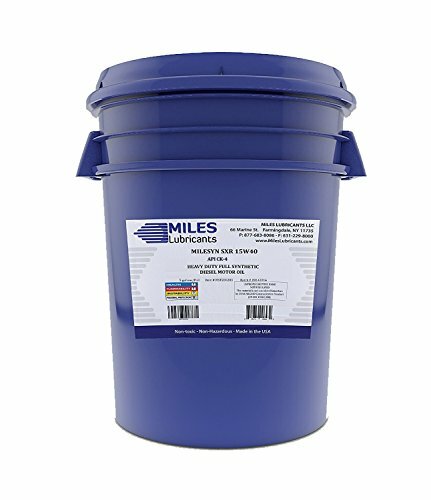 Unique additives are proudly advertised as ways to improve performance, keep the engine clean and perform other tasks. Viscosity is the most important property of motor oil. It’s the oil’s ability to resist flow. Oil’s viscosity varies based on temperature. The colder the air, the thicker the oil will turn, while hotter temps turn the oil thinner. As oil moves throughout the engine, ideally it should remain a relatively consistent thickness. Viscosity should be minimal. However, the environment doesn’t always cooperate. During winter weather, cold oil still needs to lubricate the engine when the vehicle is started. If it’s too thick, it won’t provide enough protection. On the other hand, the oil also can’t get too thin in hot conditions. Without a certain thickness, the oil won’t be able to adequately protect the engine. Oil viscosity is measured according to a scale called the Viscosity Index. To determine the VI, the viscosity is measured at 104 degrees and 212 degrees. Viscosity grades are alphanumeric. Common classifications are 5W-30, 10W-40, 15W-50 and similar. Each grade details a range. The W means that oil is cold-temperature ready. To help remember, equate W with Winter. Low numbers represent the cold temperatures which the oil can be used in. High numbers mean the oil helps protect engines in not just high temperatures, but also during heavy vehicle use. Most modern engines oils are multi-viscosity. This allows the oil to provide cold-flow in low temperatures while also protecting the engine once it reaches the hotter driving temperatures. Multi-viscosity is usually just fine for average use. You’ll only need something significantly stronger if you consistently drive in below zero temperatures or extremely dry and hot areas. Always consult your owner’s manual for the specific recommendations on when to change your oil. The owner’s manual is always the main authority for how to care for your car. Generally, you’ll want to change your engine oil around every 7,500 miles or at least once a year. Specifics will vary significantly based on how you drive. Driving short distances in stop-and-go traffic actually causes gunk and contaminants to build up rather quickly. Additionally, frequent idling also degrades oil quality over time. Most city drivers will want to change their oil every 5,000 miles. You don’t have to change your oil quite as frequently if you mainly drive on the highway at high speeds. This type of driving is actually relatively smooth on your engine. Oil changes at 7,500 miles are usually fine. Diesel engines need oil changes more frequently than their gasoline-powered counterparts. They tend to build up with gunk quicker. If you’re used to gasoline-powered engines, you’ll want to be aware that your oil change habits will need to change. Diesel engines have lots of benefits. They’re strong, efficient and typically require minimal maintenance. However, they also need specialized care. Make sure you keep your engine running smoothly with diesel engine oil. Use our guide to select a top-quality oil. Your engine will thank you!